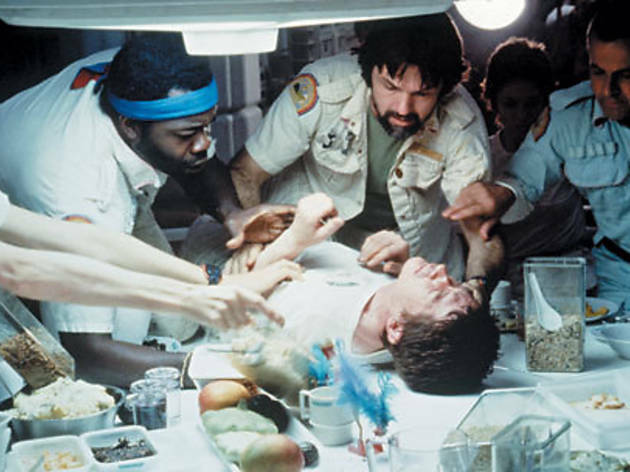 After 30 years, the “Boo!” and gross-out moments are permanently cemented in the cultural psyche—from the face-hugger’s leap out of the translucent egg to John Hurt’s dinner-table stomach burst. 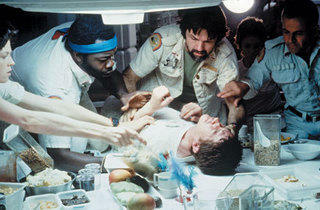 So what’s left to discover about Ridley Scott’s great deep-space horror show? Mainly it’s the sense of pace and craft that the once-promising director would soon trade in, post--Blade Runner, for empty, pretense-laden spectacle. When Scott introduces us to the crew and corridors of the interplanetary mining ship Nostromo, he emphasizes silence and languor, the better to immerse us in the cavernous physical and mental playground that the alien (designed by Oscar-winning Swiss surrealist H.R. Giger) will use to its merciless advantage.